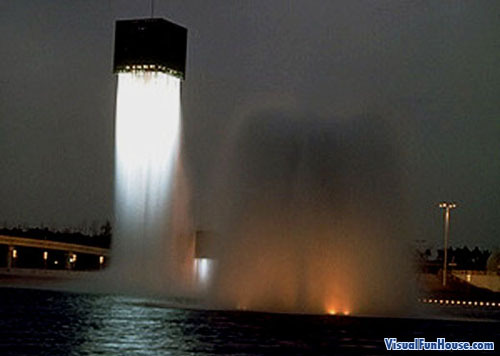 9 Floating Fountains – Optical Illusion was created byIsamu Nogchi. His Floating fountains illusions is based of the floating tap illusion with a bit of a twist. 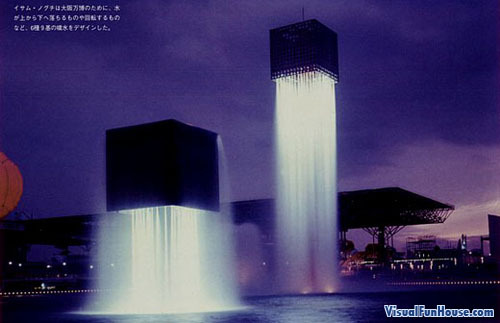 These floating cube fountains where created for the world expo in Oska, Japan. It almost looks like an alien space craft hovering above the water! Defiantly a neat twist on an old illusion.